Will Tiwa Savage Really Collaborate With Simi? Finally, 2019 might be getting its first powerful female singers collaboration. 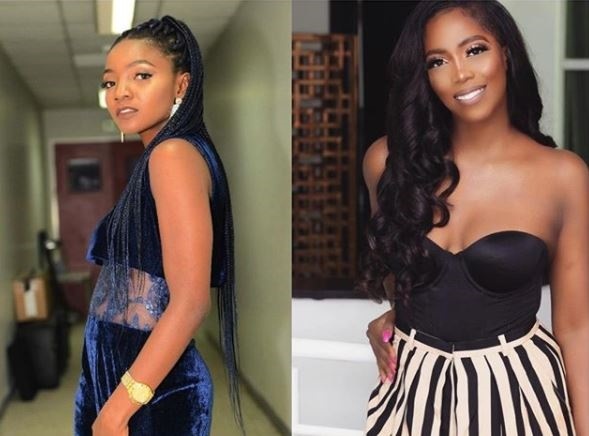 Tiwa Savage and Simi are two of the most celebrated female artistes in Nigeria's music space and both artistes are plotting to work together on a song. Tiwa Savage's announcement on Twitter of her inclusion at the famous Wireless Music Festival in London this year, caught Simi's attention. Tiwa then asked Simi when they'll be hitting the studio together. Unfortunately, female collaborations are very few and far between, even with the recent ones between Yemi Alade and Waje. The collaboration might never happen, but if it does, the fire of Tiwa and the coolness of Simi will light up any track.